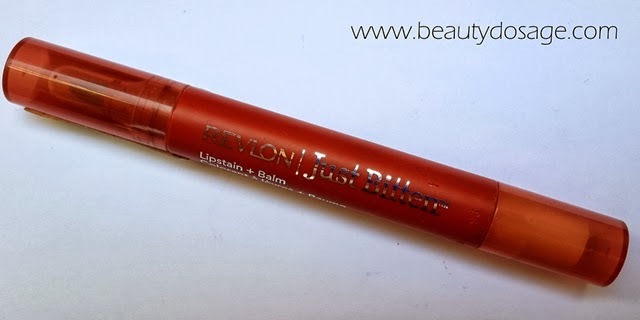 Today’s review is going to be of the Revlon just bitten kissable balm stain in the shade lust I have also included swatches for clear description. There are tons of other shades which are famous from this line such as honey, cherish, smitten, charm, crush, lovesick etc. the Revlon kissable balm stains are by far rated as the best lip stain from the drugstore and I definitely see why. They are one of the brands who introduced the balm concepts and made it a trend for other brands to follow. Lip balm stains are the best long wearing lip products and perfect during hot summer days or days you want a low maintenance lip. NOTE: Revlon has two versions of this concept. One which is the Revlon just bitten kissable balm stain and the other version is called the Revlon just bitten lip stain + balm which are one I’m reviewing today. I was pretty eager to try the kissable balm stains but the one which actually looked like a felt pen really caught my eye. To be frank I sometimes think if this is actually a stationery product that Revlon labelled it as a lip stain because the scent and feel is very similar to a felt pen! The product by itself is awesome. It applies wet and set like your own lips. 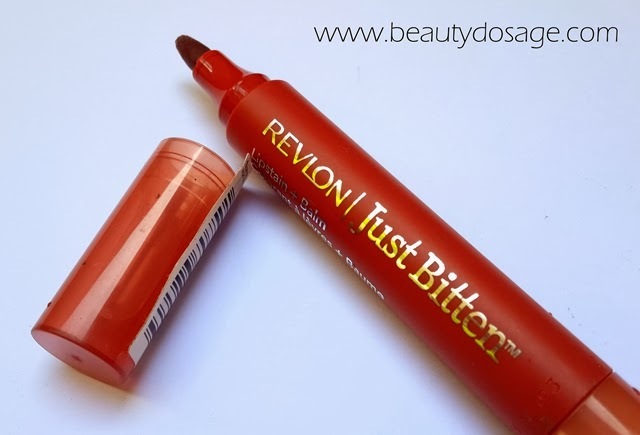 It’s very lightweight just as Revlon claims and is definitely non transferable. 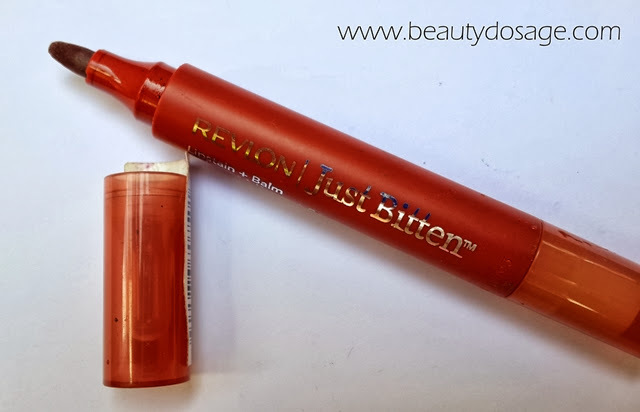 The product gives a matte finish to the lips which in my preference is nice but if you love a glossy feel you wouldn’t be too impressed but you might like the Revlon just bitten kissable balm stain which looks like a crayon. This product doesn’t compliment dry chapped lips because it’s a matte finish so it might accentuate the flaws on your lips. Scrub your lips well and moisturise them before application. The stain stays for the longest time you guys! It literally stays until I decide to remove it but at times it doesn’t get completely off too as the product suggests it really stains my lips. 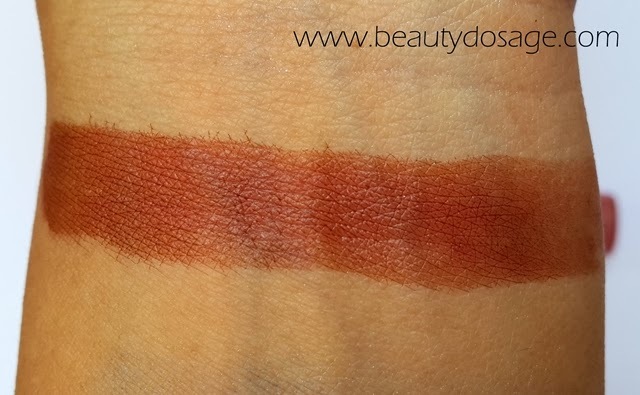 The shade lust is a reddish brown shade which I ought online assuming it would be like a peachy brown shade and could be a perfect nu*e lip shade but it’s a more deeper brown and I guess deeper skin tones can definitely rock it! However it’s a great bold fall shade for fair to medium skin tons if you love the brown shades. 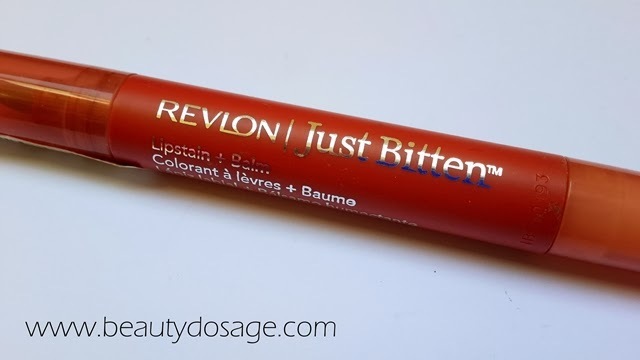 What’s great about the Revlon just bitten lip stain + balm in shade lust? What’s not so great about the Revlon just bitten lip stain + balm in shade lust? The Revlon just bitten lip stain + balm in shade lust is a good nu*e shade for deeper skin tones and will turn out to be a old fall lip shade for fair to medium skin tones. The concept of the product and the longevity is just mind blowing. This should be a summer staple in my opinion. Interesting product but not for my very dry lips! Great shade but will skip as i ve dry lips! Looks good. Though with this weather, its important to add something more nutritive.